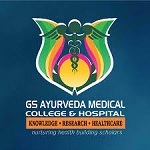 GS Ayurveda Medical College Hapur is one of the reputed Private Ayurveda Colleges in Hapur. The college is popularly known as GS Ayurvedic College Hapur and it was founded in the year 2014. It is affiliated With Chaudhary Charan Singh University and approved by Central Council of Indian Medicines. The college started to serve students with the best ayurvedic care. Now the college has become synonyms with one of the Best Ayurveda Medical Colleges in Hapur. Affiliated With Chaudhary Charan Singh University. In this article, we will provide you with the detailed information about GS Ayurvedic College Hapur like Fee Structure, Course offered, Admission Procedure, Placement Stats, Cut-off, Facilities available and complete college review. The candidate has must be passed the 10 + 2 exam, with minimum 50% in Physics, Chemistry and Biology for General Category and 40% in PCB for SC, ST, OBC. Must have completed 17 years of age at the time of giving the CPAT exam. Candidates have to register on the official website of UP Ayush Admission 2018 which already started in the 2nd week of September 2018. It is one of the premier Ayurveda Institute in Hapur. We would like to give 3.7 out of 5 stars on Edufever Best BAMS Institute in Uttar Pradesh. For the further admission related queries, You can comment on the box mentioned below. Our top expert will serve you with the best possible solution.